According to Ellen Voie, president and CEO of WIT, the magazine created the award to support WIT’s mission: To encourage the employment of women in the trucking industry, promote their accomplishments, and minimize obstacles faced by women working in the trucking industry. WIT also is an active member of TMSA. According to Voie, there are five key features that distinguish companies recognized on this list: corporate cultures that foster gender diversity; competitive compensation and benefits; flexible hours and work requirements; professional development opportunities; and career advancement opportunities. “This newly created award is driven by the marketplace, and the sheer number of individuals in the industry who participated in the process is incredible,” said Voie. Nearly 150 nominations were received, and more than 7,000 votes were cast to identify the companies named to the list, according to Voie. 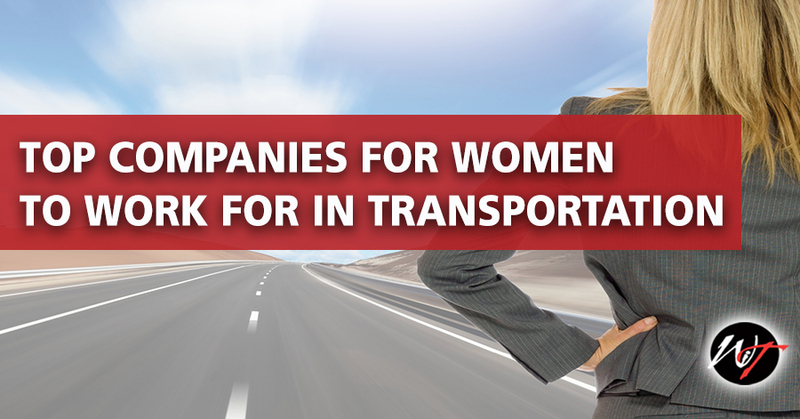 These companies were recognized during a special program at the 2018 Women In Trucking Accelerate! Conference & Expo, in Dallas, TX. For more information, visit www.WomenInTrucking.org. Comments on "TMSA Members Named 2018 "Top Companies for Women to Work For" "